Following the recently concluded bandh on April 5, DMK's next move in Cauvery issue is Cauvery Rescue Mission that is a walking trip (Nadai Payanam). 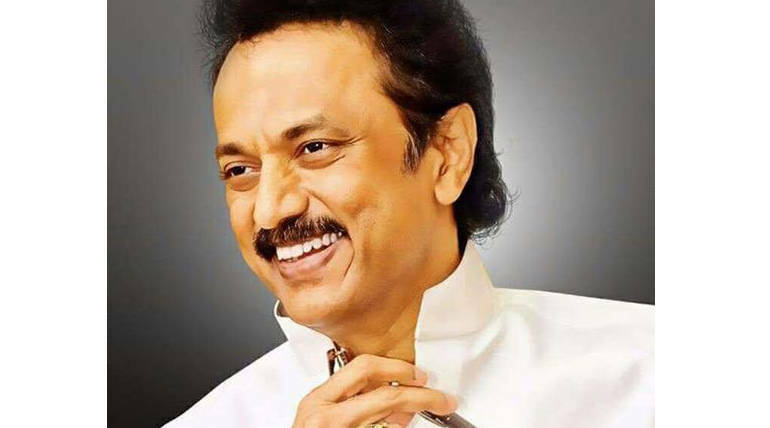 DMK chief Stalin will be walking from Mukkombu in Trichy to Cuddalore for a distance of around 200 km in order to emphasize the Centre to form Cauvery Managment Board with the support of other parties. The mission shall be starting in few hours today. Stalin had convened an all-party meeting on April 6 (Friday) to discuss the Cauvery Rescue Mission at Anna Arivalayam, Chennai and it had been addended by many other opposition party leaders including TamilNadu Congress Committee Thirunavukarasar, Dravidiar Kalagam Leader K. Veeramani, Communist party leaders K.Balakrishnan, Mutharasan, Viduthalai Siruthaigal leader Thirumavalvan, Muslim league leader Kader Mohideen. After the meeting, Stalin said in a press meet that Cauvery Rescue Mission shall be conducted in delta districts of TamilNadu and it was planned to split into two groups. One group would be starting on April 7 from Mukkombu in Trichy while the other shall be beginning on April 9 from Ariyalur that would be inaugurated by K. Veeramani, Dravidiar Kalagam Leader. Stalin also added that the protests have been conducted in the belief of constitution of Cauvery Management Board by the Centre in favour of Tamilnadu. He also stated if Centre-State Governments still involve in asking for extensions, the opposition parties in the state shall again gather and take a decision. It was also decided to protest against the Supreme Court Order on the SC/ST Act by April 11 all over Tamil Nadu. Stalin also criticised the conduct of IPL matches as diverting the youngsters from focussing on Cauvery issue. He said that the political leaders were ready to face any sorts of legal action against them but they need only Cauvery water. Farmers and DMK members have been protesting in Tanjore Railway Junction and blocking the rail service. Cholan express train service is delayed due to the protests.